Before he became the owner of Elite Spartans, Alex Zuniga began his life-long commitment to a lifestyle of fitness when he was 6 years old, playing soccer in Mexico City. From this time on, fitness became an integral part of Alex’s development as an individual and proponent of the fitness industry. At 13, Alex began an unforgettable life-altering experience as a cadet in one of the best military schools in Mexico City, spending the next three years training for military combat, self-defense, semi-professional boxing, and most importantly learning the value of self-discipline. This appreciation of discipline continued to be a motivating factor as Alex attended law school in Mexico City before moving to the United States for further educational opportunities. As an international student, Alex first attended San Jose City College, earning an Associate of Arts-AA with a minor in Communications. Then Alex continued on to San Jose State University and majored in International Business. During this time, Alex competed for SJCC and SJSU in track and field in the 100m and 400m events, and was able to balance full-time school with a full-time job in one of the most recognized corporations (at that time) in the United States, Bally Total Fitness. Alex’s love and passion for the fitness industry led him to become one of the most successful managers in the fitness industry, which is reflected in the multiple awards and honorable recognitions Alex received for his work. The success and experience that Alex found in the corporate fitness world was invaluable, and once Alex reached his goal of becoming an elite manager and trainer in the industry, he decided to take this knowledge and experience and begin his own personal training business. In 2012, Alex branched out and began a ground-up operation. 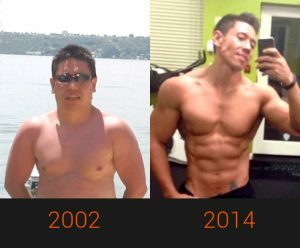 Since then, Alex has continued growing his Bay Area bootcamp gym as more and more clients find great results and success with Alex’s professionalism, knowledge, experience, enthusiasm, passion and talent for working with individuals and groups of all ages and abilities.